Sensex Gains 271 Points In Afternoon Session.A benchmark index of Indian equities markets, the 30-scrip BSE Sensitive Index (Sensex), on Wednesday surged 271.21 points or 1.06 percent during the afternoon session. 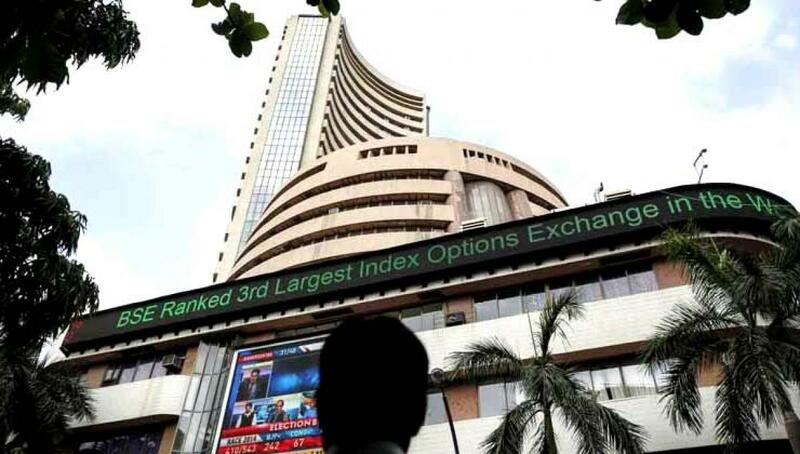 Mumbai: A benchmark index of Indian equities markets, the 30-scrip BSE Sensitive Index (Sensex), on Wednesday surged 271.21 points or 1.06 percent during the afternoon session. The wider 50-scrip Nifty of the National Stock Exchange (NSE) also surged 75.95 points or 0.97 percent and was trading at 7,905.05 points. The Sensex of the S&P Bombay Stock Exchange (BSE), which opened at 25,884.05 points, was trading at 25,977.14 points (at 1.12 p.m.) in the afternoon session, up 271.21 points or 1.06 percent from the previous day's close at 25,705.93 points. The Sensex touched a high of 26,006.75 points and a low of 25,816.50 points in the trade so far. Good buying was observed in banking, healthcare and auto sectors, while selling pressure was seen in consumer durables sector. The S&P BSE bankex gained by 1.43 percent, healthcare index moved up by 0.90 percent and auto index went up by 0.74 percent. However, the S&P BSE consumer durables index dropped by 1.10 percent.